Understanding what is happening in your body during menopause and perimenopause, and how to manage it, can help make this transition more comfortable. 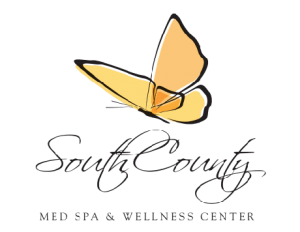 Bioidentical hormone specialists at South County Med Spa & Wellness Center in San Jose California can help you get a clear picture of your health and create a customized plan for total hormonal wellness. Declining hormones can have a significant impact on the way you feel, both physically and emotionally. Most traditional medical treatments only focus on managing your symptoms of menopause, but do not solve the root cause of the problem: imbalanced hormones. Jumnah Thanapathy, M.D.’s Bioidentical Hormone Replacement Therapy program will address your symptoms at their source and has the ability to relieve your discomforts, and in some cases, eliminate them. With this kind of relief, women experiencing menopausal symptoms can expect to see a dramatic improvement in the quality of their life. Because of the natural hormones used in Bioidentical Hormone Replacement Therapy, the hormones are metabolized by the body faster and easier and with little to no side effects. With hormones in balance, women are able to enjoy renewed energy, better health and a more positive outlook on life. While hormone replacement therapy can’t stop your body from going through this natural process, it can help to reduce or eliminate many of the associated symptoms. Bioidentical Hormone Replacement Therapy is a particular form of hormone replacement therapy that uses, as the name suggests, bioidentical hormones. BHRT is a treatment that is personalized just for your body and your lifestyle by BHRT doctor Jumnah Thanapathy, M.D. First, BHRT doctor Jumnah Thanapathy, M.D. in Gilroy California will review your symptoms, medical history and hormone profile to determine which hormones your body needs in order to find relief from the menopause symptoms you are experiencing. Your doctor will prescribe specific hormones in specific doses. Typically, doctors will prescribe the lowest dose taken over the shortest period of time for your health. Bioidentical hormones are also available in different forms. Compounding pharmacies produce bioidentical hormones as creams, pills, subdermal pellets, injections, patches and more. Each form has its own benefits, and some women respond better to certain forms than others. BHRT doctor Jumnah Thanapathy, M.D. will discuss these differences with you and together the two of you will find the right treatment for your body and your lifestyle. Don’t Suffer Any Longer. BHRT Can Help! BHRT doctor Jumnah Thanapathy, M.D. in Gilroy California has years of experience treating women going through menopause, and they can help guide you through this transitional period while reducing or eliminating your symptoms. Call today for a free initial consultation! Don’t Wait. Contact Your Local Gilory California BHRT Doctor Jumnah Thanapathy, M.D. For Menopause Treatment Today!